Why should I purchase a Solar Power system? Some people choose to go solar because they see the financial sense in spending their money on an energy-producing property improvement as opposed to sending money to PSEG. Other people value the environmental benefits since a solar power system reduces our carbon footprint and minimizes air pollution and global warming. Some people see renewable energy as a means to reduce our nation’s dependence on foreign oils. And finally, some people simply take comfort in knowing that they will be immune from future PSEG rate hikes and energy costs. In all likelihood, for most people it is a combination of the above, which are described further on our Benefits of Solar Power page. Will a Solar Power system work for me? How large of a system will I need? What is Photovoltaics or PV? How much electricity does a Solar Power system generate? An average size solar power or PV system rated at 5 kilowatts will produce about 7,150 kilowatt-hours a year in Long Island. Most PV panels are warranted to last 30 years and lose efficiency at a rate of about 0.5% per year. Over 30 years, this system will generate approximately 214,500 kilowatt-hours, which is equivalent to $42,000 in direct utility savings. Once you take inflation and utility rate hikes into account, the savings over the warranted life of the system is closer to $90,000 which is approximately 10 times the amount paid (after rebates and tax credits) for the system! 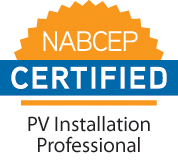 Please visit our Solar Power Costs and Solar Payback and Financials pages for details. Will my system generate power when it’s cloudy? PV systems are less efficient in cloudy conditions, but they can still produce a significant amount of power. It’s important to note that when Horizon Solar, LLC sizes a system and provides a production estimate, it takes overcast conditions into account by using 30 years of local historical weather data. What maintenance do Solar Power systems require? Solar power or PV systems are virtually maintenance-free; this can be attributed to the fact that they are very simple without any moving parts. Periodic rainfall will clean dust or small debris off of the panels. Since solar panels are designed to absorb sunlight (which causes them to heat up), snow often melts and slides off of the panels without the need to brush them off. Can I sell power back to PSEG? What is the break-even point for a Solar Power system? The break-even point is the amount of time it takes to recoup your investment through direct savings in utility costs. Over the past decade, as the efficiency of panels improved and the available supply increased with more mass production, the break-even time has been significantly reduced. Currently, the break-even point is at approximately 5-7 years for an average sized solar power system installed on Long Island. Please visit our Solar Payback and Financials page for additional details. If I sell my property, what effect does the Solar Power system have on the sale price? Energy conservation and renewable energy production such as solar power adds significant value to a home. Surveys have shown that for every $1 saved per year in utility costs, $10 is added to a home’s value. Solar energy can actually be one of the best home improvement investments you make! Please visit our Solar Payback and Financials page for more details, or look at the following publication from the Appraisal Journal. Why should I invest in Solar Power now, isn’t technology improving? As efficiency’s increase and costs decline, the rebates and incentives will be scaled back to compensate. For example, PSEG has eliminated their rebate, and teh Federal tax credit will drop from 30% in 2019, to 26% in 2020, to 22% in 2021, then be eliminated!! As tax credits drop it will make the cost of going solar significantly more expensive. Even if rebates keep in line with system costs, why “rent” power from the utility company for another 5-10 years? In many cases the payback period is less then 10 years, so you could be enjoying free electricity by the time you would otherwise wait to invest in solar power. The sooner you invest in solar, the sooner you take advantage of other benefits such as improving the quality of the environment and reducing our dependence on foreign oil.